When Does It Make Sense to Prepay a Mortgage? Prepaying a mortgage provides a safe rate of return. That is, you know that the return you’ll get from paying down the mortgage is equal to the after-tax interest rate on the mortgage. As such, generally speaking, what you want to do is compare the after-tax interest rate on your mortgage to the after-tax expected return on the safe investments (e.g., bonds or CDs) that you hold or that you are considering buying. For example, if your mortgage has an after-tax interest rate of 3%, and you are holding fixed-income investments that have an after-tax expected return of 2%, you’re essentially borrowing money at 3% in order to lend it back out at 2%. In most cases, that doesn’t make sense. A key point here is that, just like we looked at the after-tax interest rate on the mortgage, we have to look at the after-tax expected return for the investments in question. In the case of tax-sheltered retirement accounts, the calculation is easy. Specifically, if you would be liquidating assets from retirement accounts (or choosing not to contribute to retirement accounts) in order to prepay the mortgage, the return on the investments in question wouldn’t be taxed, so the after-tax rate of return is the same as the before-tax rate of return. In a taxable brokerage account, however, determining the after-tax return can be somewhat trickier. 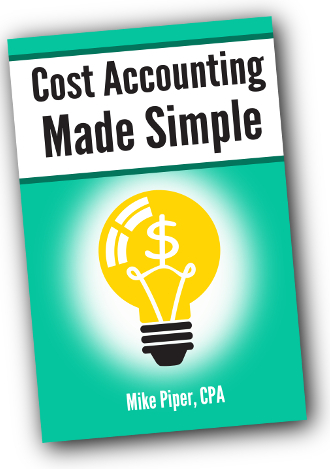 It’s simply calculated as the before-tax expected return multiplied by (1 – your marginal tax rate). But your marginal tax rate will depend on your tax bracket, what type of investment we’re talking about (taxable bond? muni bond? ), and on other factors such as whether or not you’re subject to the 3.8% tax on net investment income. Regardless of the above comparison of rates of return, it definitely does not make sense to prepay your mortgage if doing so will cause you significant liquidity problems. For instance, if you have an “emergency fund” sitting in a savings account earning little to no interest (and you truly would need that money in the event of a large unexpected expense), it’s not a good idea to use that money to pay down your mortgage, despite the fact that doing so would earn you a higher rate of return than the savings account is earning. *Specifically, you’ll want to look at the yield to maturity for most bonds, the yield-to-worst for callable bonds, and the SEC yield for bond funds. How Do You Calculate the After-Tax Interest Rate on a Mortgage? If you’re already itemizing every year before you take out a mortgage, the calculation is simple. The after-tax interest rate on the mortgage is the interest rate, multiplied by (1 – your marginal tax rate). In other words, it’s the interest you pay, minus the tax savings you get back. But in a situation in which you don’t already itemize, a part of the deduction is essentially wasted, because all it’s doing is bringing your itemized deductions up to the level of deduction you would have already had with the standard deduction. And it’s only the amount beyond that point that’s actually saving you any money on your taxes. Example: Martin and Johanna are married, with a standard deduction of $12,600 per year. They’re in the 25% federal tax bracket and 5% state tax bracket, for a total marginal tax rate of 30%. Prior to taking out a mortgage, their itemized deductions are just $7,000 per year, so they currently choose to use the standard deduction each year. They’re considering taking out a mortgage with an interest rate of 4%. Despite the fact that Martin and Johanna have the same marginal tax rate as Celeste, and are considering a mortgage with the same interest rate, their after-tax interest rate on the mortgage will be higher than hers, because they will get less tax savings from the deduction than she gets. Specifically, the first $5,600 of their deduction for home mortgage interest will serve no purpose other than to bring their itemized deductions up to the level of the standard deduction. They will only achieve tax savings for any home mortgage interest they pay that is in excess of $5,600 per year. So for Martin and Johanna to calculate their after-tax interest rate for the first year of such a mortgage, they would calculate the amount of interest they would pay over the course of the year, then subtract $5,600. The resulting amount would be multiplied by 30% (their marginal tax rate) to determine the amount of their tax savings. Then they would subtract that tax savings from the amount of interest they paid over the year to determine the after-tax amount of interest they paid. And if they divide that after-tax interest amount by the outstanding balance on their mortgage, they’ll arrive at their after-tax interest rate. *This is a simplification. 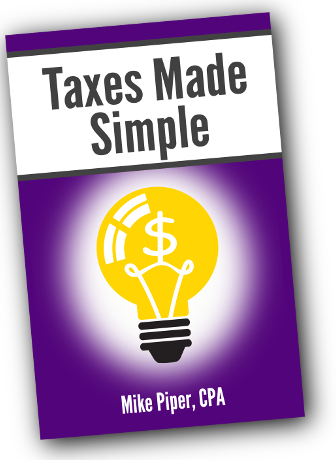 As we’ve discussed before, your marginal tax rate is not necessarily the same as your tax bracket, but I’m keeping things as simple as possible in our examples. We’re also assuming here that all of the interest on the mortgage does qualify for a deduction. (IRS Publication 936 has the details on that topic.) In addition, if you are itemizing, your state income tax can be claimed as a deduction against your federal taxable income, thereby slightly reducing your overall marginal tax rate. 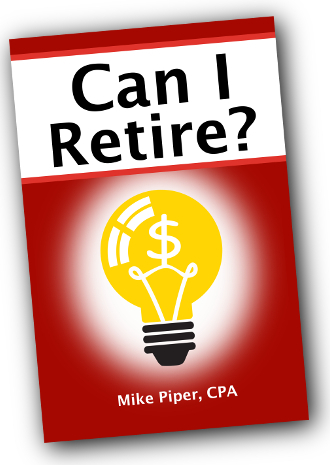 Just a quick reminder: the 50%-off sale for the 2016 edition of Can I Retire? ends tomorrow. If you’re interested in a copy, you might as well grab one today. In short, the requirements to be able to claim survivor benefits on a deceased ex-spouse’s record are identical to the requirements for claiming survivor benefits on a deceased spouse’s record, but with the additional requirement that you must have been married for at least 10 years prior to the divorce. You are not married, unless you remarried after age 60 (or after age 50, in some disability-related cases). As with regular survivor benefits, if you are also receiving a retirement benefit, your benefit as a divorced widow(er) will be reduced (but not below zero) by the amount of your retirement benefit. File a restricted application as early as 62 for retirement benefits, while allowing your widow(er) or divorced widow(er) benefits to continue growing until full retirement age. *While I’ve temporarily offered new editions of Kindle books for free in the past, I don’t think I’ll be able to do that going forward. 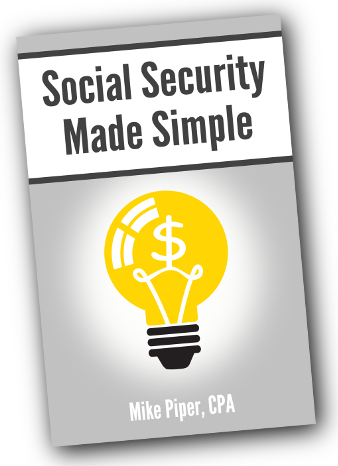 Last time (with Social Security Made Simple) several parties distributed unauthorized versions in numerous places online, and I have spent entirely too much time battling the copyright infringements.